Lots of people struggle with tension and colourwork knitting. 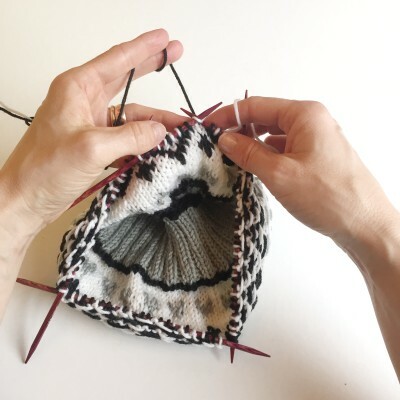 It’s not just the fact that you’re dealing with two yarns and that takes getting used to, but also the fact that the floats of the yarn not in use can be too tight or too loose. 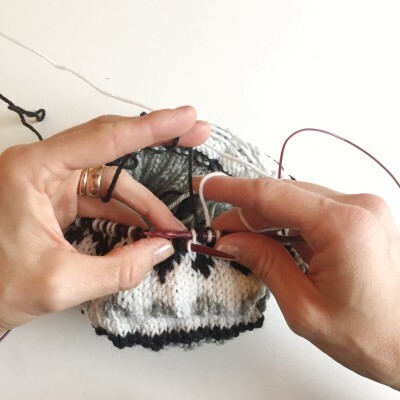 For hats, which normally have an inch or two of negative ease, this gets even more tricky since the floats don’t stretch as far as the knit fabric, and yet they need to work with the negative ease that’s holding the hat on the head. Normally, when you knit in the round, it looks like the pictures below. 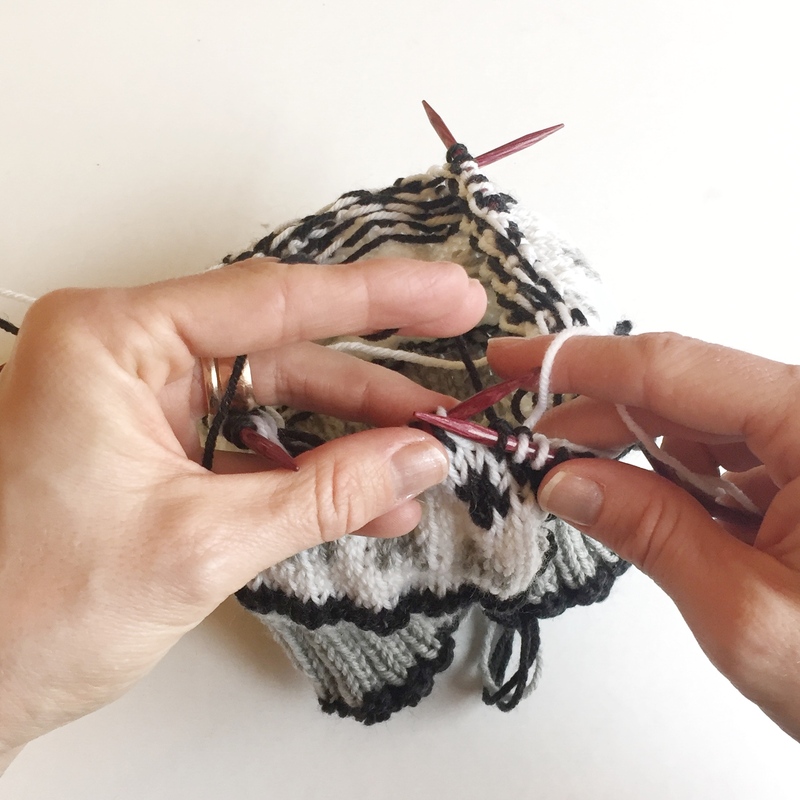 Knitting something inside-out, though, makes it less likely that your floats will be too tight. Why? Well, look at the circles below. 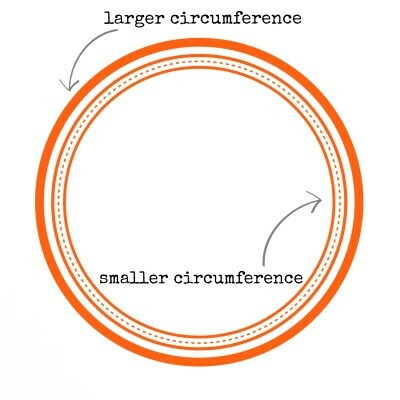 The inside circle is smaller. Normally, that is where the floats would be when doing colourwork knitting. 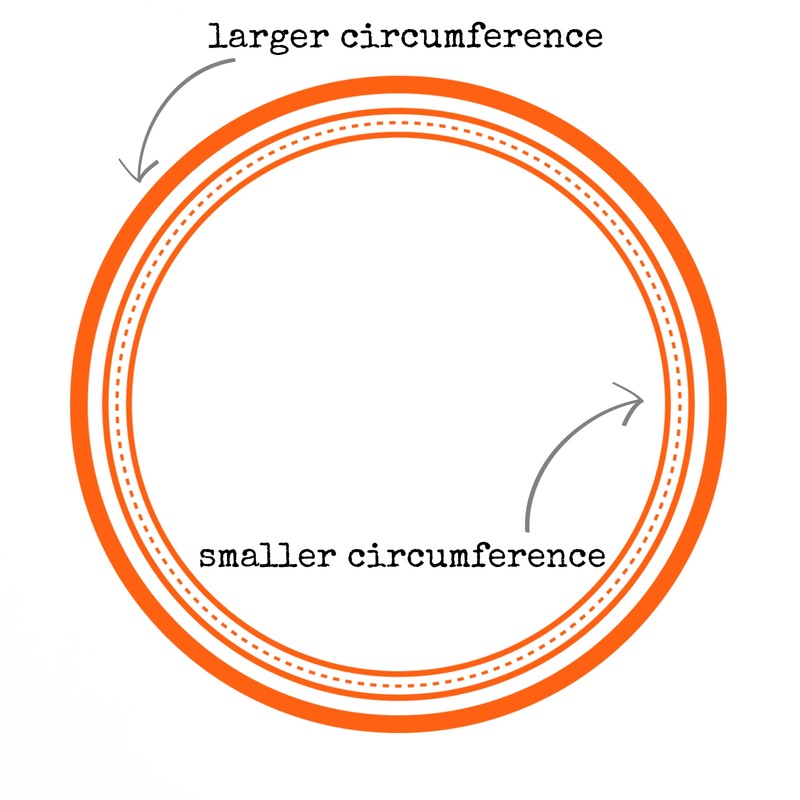 But the outside circle would force the floats to travel a little bit farther and keep them from being too tight. 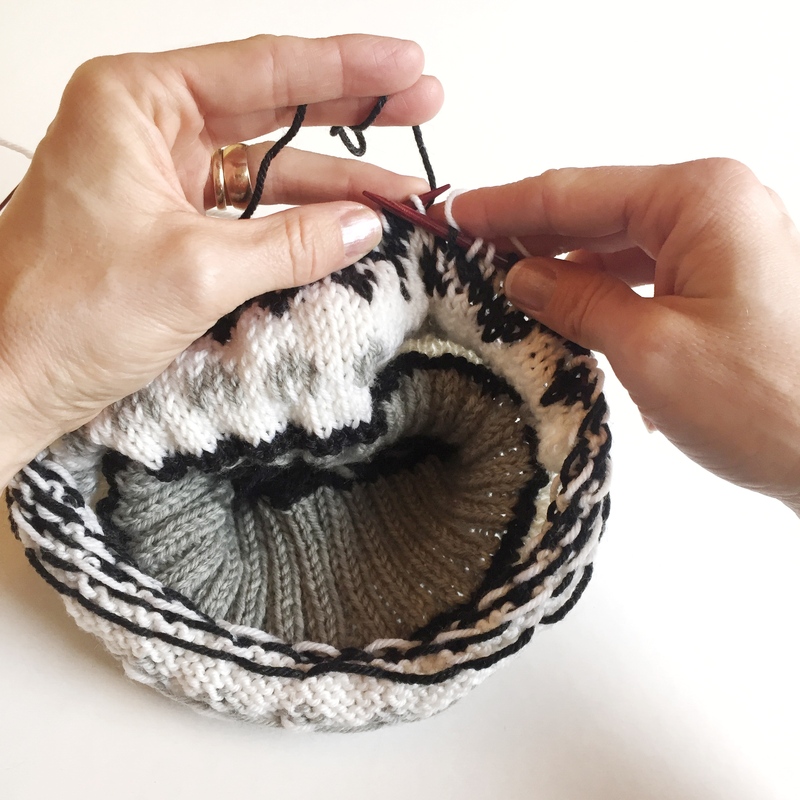 So what does knitting inside-out even look like? It sounds like the cure is worse than the disease, doesn’t it? It sounds like it might be complicated and awkward. Don’t worry, it’s not. First of all, you don’t have to knit the whole hat inside out. I worked the hat normally until the colourwork section started, then flipped it inside out. Secondly, you’re still knitting while looking at the front of the work because you hold the hat so that the unworked stitches are closer to you and you work the circle at the farthest point. Have a look at the pictures below to see what that looks like on DPNs and Magic Loop. It’s a simple trick to keep your floats from being too tight and either forcing your fabric to pucker or keeping your hat from fitting. Let me know how it works for you or if you have any questions. If you’re doing the Zig Knitalong remember to tag your projects with the hashtag #pomballKAL. Pop into the Ravelry group to show me and tag me on Instagram (@Imagined_Landscapes) or Twitter (@ImaginedLand). But how do I Wash and Block the Pomball?